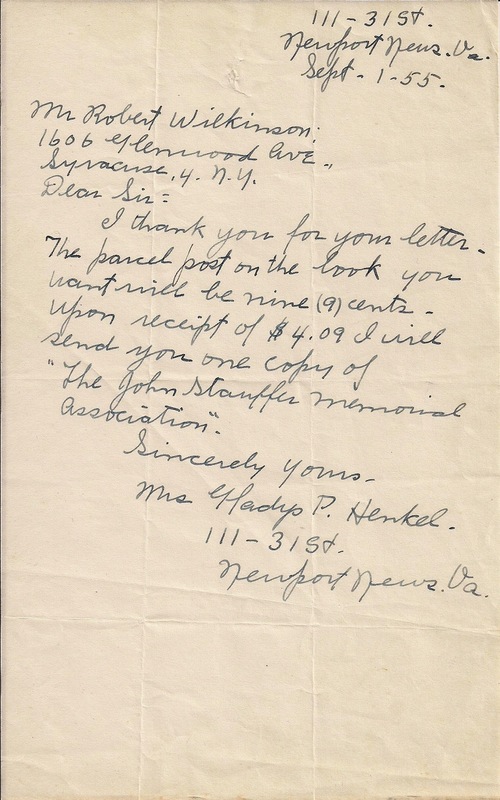 Here is a letter written to my Father (Robert “Bob” Wilkinson) regarding a Stauffer family history book he was purchasing from someone in newport news. I assume that he bought this book for his mother (Joanna Stouffer Wilkinson). He was 16 years old when this letter was written. Note: $4.09 in 1955 would be equivalent to $35.67 today (2015). A bit pricey for a used book. The book is called Records of the Proceedings of the John Stauffer Memorial Association, 1911. The whole book is available online. Here are several images of the book. Looks like this house is now the Newport New Courthouse. Another item for the “why would anyone save this” file. 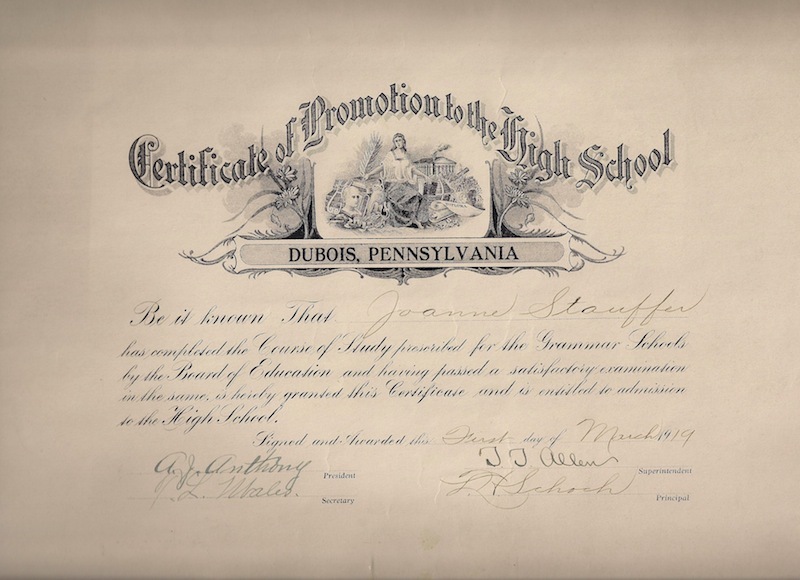 Joanna’s 1916 Middle School Graduation diploma.